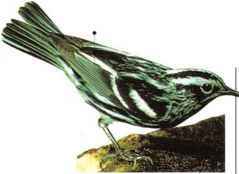 A tiny, energetic bird, this species is common in many parts of its extensive range. 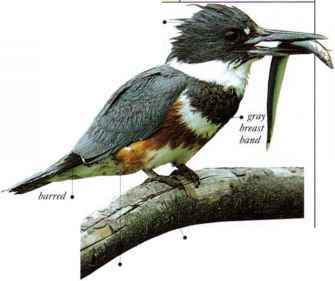 It is usually seen alone or in pairs, feeding in forest or scrub, taking berries, nectar, and insects. • NliST An oval-shaped, grassy ball with a side entrance, placed in a bush or small tree. 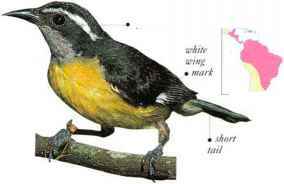 Bananaquits also build nestlike structures that are known as dummy or dormitory nests. Parts of West Indies, and from S. Mexico to N.E. Argentina.